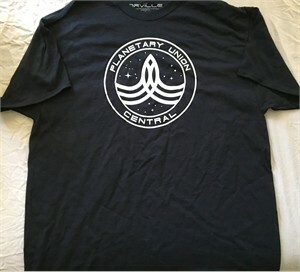 The Orville black Planetary Union Central logo T-shirt distributed at 2018 San Diego Comic-Con. SIZE ADULT XL. BRAND NEW. 100% cotton. ONLY ONE AVAILABLE FOR SALE.